William's Photographic journey has taken him quite far in a remarkably short time. Now an International Award Winning Photographer, Phase One Ambassador, Phottix Pro Team & PPAC Ambassador, his work regularly appears in glitzy titles such as Promo Magazine NYC and industry stalwarts like Professional Photographer. His work is featured on Fashion TV, TV news and several hardbacks. William divides his pro time between his Bangkok-based studio and several projects in the UK, and in 2017 is scheduled to work in a number of countries including China, the Maldives, the Philippines and Iceland. His creative photography is influenced by his deep rooted love of South East Asia, with an Avant Garde twist from his European background. 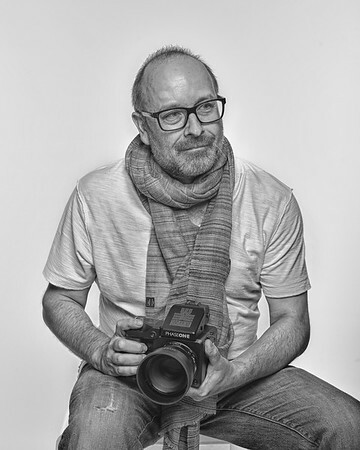 After studying for just over two years with some of the best in the business, and receiving rave reviews in the process, he was made Associate of the Royal Photographic Society, Associate of the Master Photography Association and Associate of The British Institute of Professional Photographers. Always striving for new heights of achievement, he is a passionate advocate of universal education, and an activist for gender and ethnicity equality. "This is the beginning of another journey in my life”, he stresses. And he looks forward to sharing it with you.